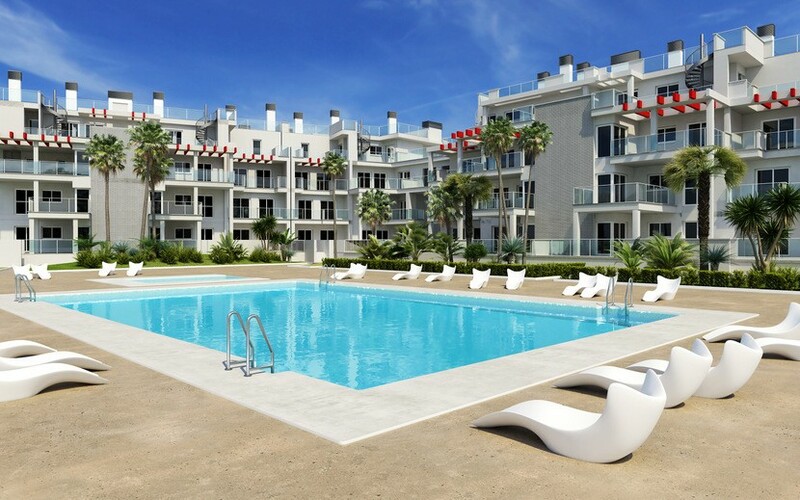 If you’re thinking about buying a new-build property in Spain, talk to HomeEspaña. 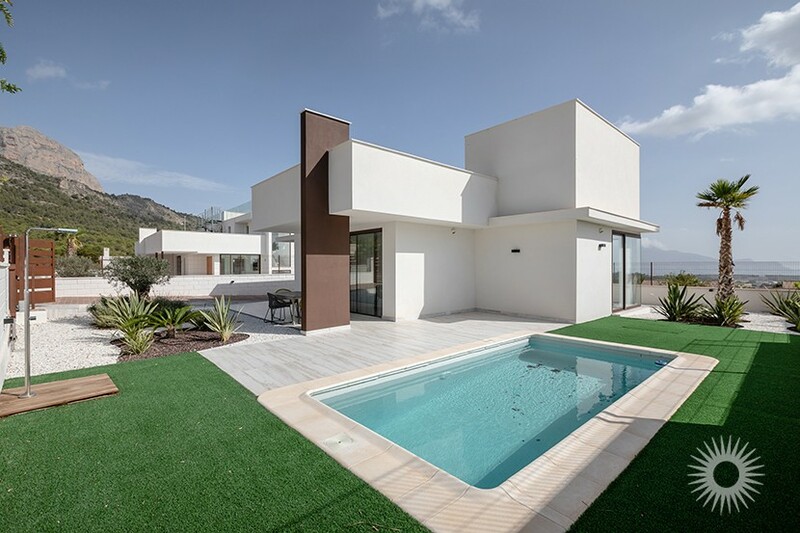 Our New Homes team work with the leading developers in the Costa Blanca and Murcia regions to offer our clients the best selection of quality new homes in Spain – whether you’re looking for a key-ready property ready to move into now, or want to buy off-plan and specify your own fixtures and fittings. Download the latest New Homes brochure, or browse the list of our featured current bestsellers below. Developments in prime locations sell out fast, so make sure you’re in touch with our team, and they can keep you informed with pre-launch details of new projects. Please fill in your details to download your copy of our New Homes brochure. Situated only 1 km to the beach. Private sun terrace to enjoy all day sun. Fantastic value for money in a great location. Walking distance to the Spanish town. Stunning mountain and countryside views. Set on a small development of 25 villas. Fully integrated white goods in the kitchen. Alarm installed and 24 hour security on site. Modern finishes and light internal spaces. Key Ready property to move into straight away. Property all on one level. Private roof solarium with a view to the sea. Unique design with quality materials. Landscaped garden with fruit trees. Villas reformed with a contemporary finish. 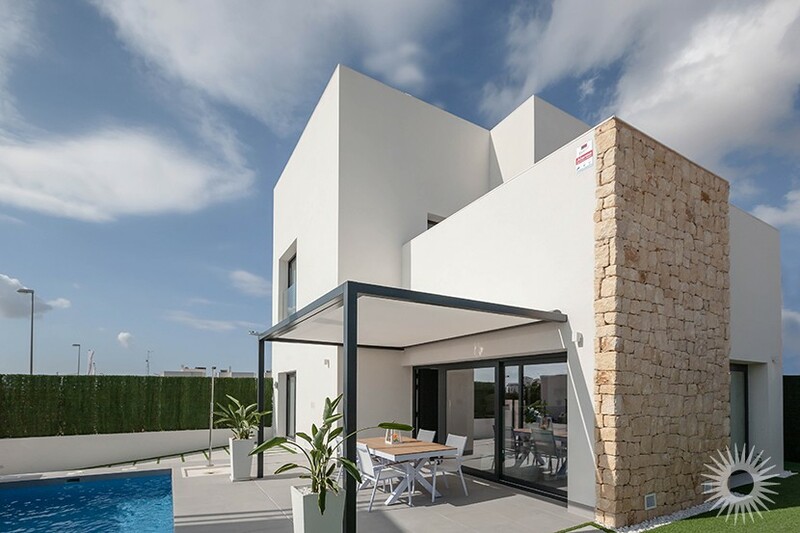 HomeEspaña has been selling new-build property across the Costa Blanca, Murcia and Valencia since 2002. We partner with a panel of carefully-selected developers who consistently deliver high-quality new properties in prime locations in Spain. The process for buying a ´new home´ is very straight forward. We have built up an extensive range of contacts since we began in 2002 and our team of qualified property valuers are also on hand to provide support and project management where required. The process for buying a new home is more straightforward than you might think, and Clare Johnston, Director of our New Build department, and a returning panelist at the A Place in the Sun Live exhibitions in the UK, has a team dedicated to servicing clients that are looking for a brand new home. 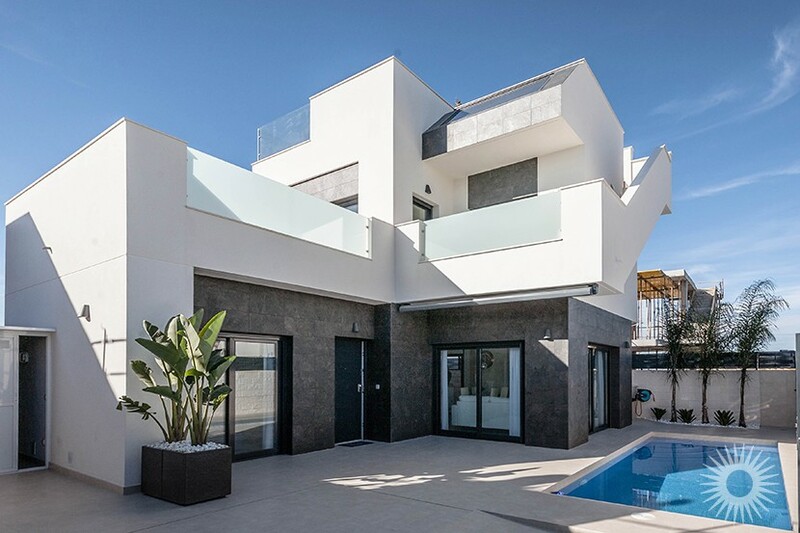 Clare describers how confidence has returned for purchasing new-build and off-plan properties in Spain, and how this could be the perfect time to snap up your own modern home in the sun. 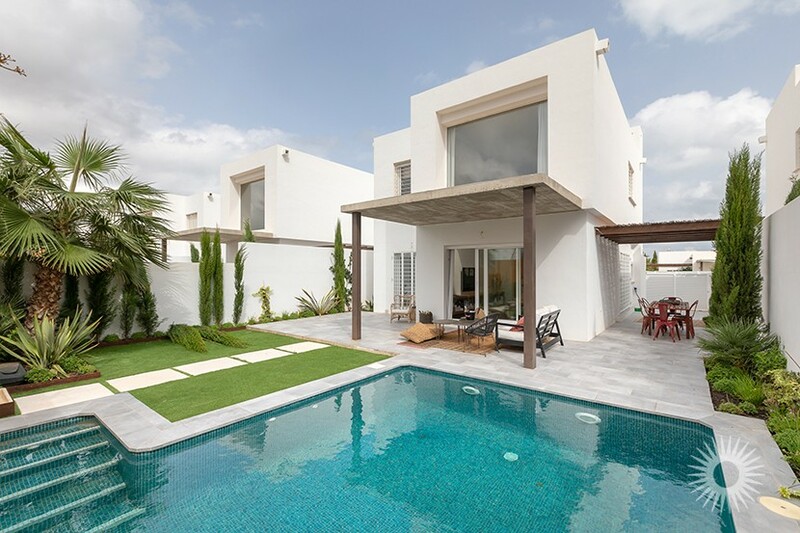 Clare comments: “When you drive down the coastal road between Alicante and Murcia, you’ll see a selection of fantastic new developments, many of which sold-out before any bricks were even laid. We’ve helped buyers from the UK, Scandinavia, France and Belgium purchase off-plan, and now they are happily using their sparkling new homes! Because the best developments sell out quickly, even if you don’t see something you like right away, we recommend you discuss your requirements with one of our team, and then we can ensure you’re kept in touch as new projects come to market." 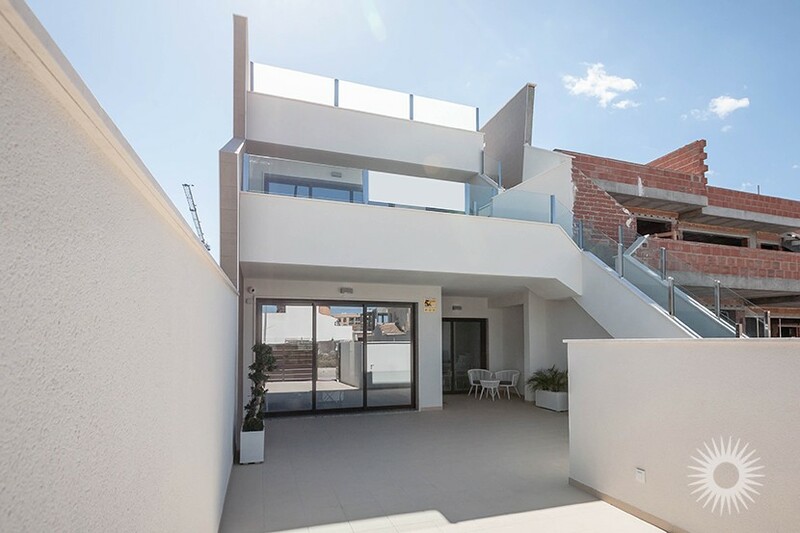 You purchase a brand new modern property with a 10 year structural guarantee. You have a variety of choice and opportunity to adapt the building specification to your needs. There is a substantial increase in the quality of building materials and design. The builders use the latest energy efficient technologies. HomeEspaña has a due diligence process and we only deal with reputable developers. We work with independent, expert advisors who will ensure that you have the right safeguards in place protecting your money. At HomeEspaña, we pride ourselves on providing free unrivalled lifetime Aftersales Service to all our clients – whichever type of property you buy. This service continues for as long as you need us, it doesn't stop on the day you complete your purchase. This is especially important when it comes to a new-build property, where our Aftersales team will keep you fully updated throughout the entire build process of your new home. When your property is ready, they will assist in the supply of additional services, including utilities and furniture, and will help you ensure your property is properly protected, insured and exactly as you envisaged it would be. We work with you every step of the way and beyond to make sure purchasing an off-plan property is easy and stress-free! 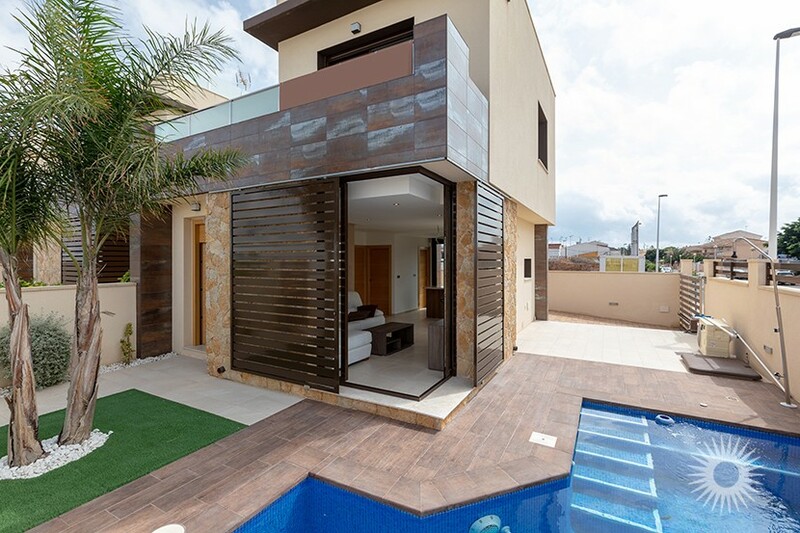 To find out more about buying an off-plan property in Spain, contact us on: [email protected].